Midtown housing and retail. Photo by David Lewinski. In the winter of 2015, Metro Detroiters read the incredible story of James Robertson, a black man in his mid-50s who walked over 20 miles, five days a week, from his Detroit home to his factory job in Rochester. He had no car and no other options. And yet, despite this obstacle, he had a perfect attendance record at work. The story, first published in the Detroit Free Press, was shared far and wide, resulting in crowdfunding campaigns that netted Robertson over $300,000. He bought himself a 2015 Ford Taurus and moved to Troy. One man's daily burden ended. But countless others like Robertson don't have the rare fortitude to walk that far every day to jobs in higher-opportunity areas. Nor do they win the proverbial lottery and get a sudden influx of cash. Instead, they're trapped in the intergenerational loop of poverty exacerbated by income inequality. "Living in poor neighborhoods isn't just an inconvenience. It's a huge factor in what our lives—and our children's lives—turn out to be," writes Alvin Chang for Vox. "Research shows it's like breathing in bad air; the more you're exposed to it, the more it hurts you." Ratio of income to poverty by census tract. Source: 2014 American Community Survey. Income inequality has a universal quality to it, in that it's affected and caused by almost everything in society: race, education, crime, health care, jobs, public transportation, and housing. And though it's a problem that's national in scope, Metro Detroit has one of the highest rates of income inequality in the nation. According to a study, "Opportunity For All," conducted by Ohio State University's Kirwan Institute, that disparity is mainly geographic. The study found that in 2000, City of Detroit residents were more than four times as likely to experience poverty than suburban residents (24.7 percent compared to 5.9 percent). Even though we don't all experience poverty equally, isolated poverty affects an entire region—income inequality matters to everyone. The report references the 2008 housing crisis as one glaring example of this effect. "[T]he rapid growth of subprime and predatory lending and housing speculation devastated marginalized communities, which spread like wildfire to much of the housing market." The report goes on to cite research by David Rusk that found that regions with the greatest degree of geographical inequity "often contain the most unhealthy central cities." The report comes to the conclusion that, "Ample research and experience support the finding that regional inequities and disparities spell disaster to the economic future of the entire metropolitan region and the entire State." That's why it's imperative that Metro Detroit find ways to reduce income inequality. And while the issue is so broad as to seem impossible to tackle at the municipal level, there are positive, incremental steps we can take in our own cities, towns, and neighborhoods to make a real difference. As Robertson's story illustrates, transit plays a huge role in someone's ability to get and keep a job. It also affects one's access to healthcare, grocery stores, and safe public spaces. That's because many American cities are divided into high-opportunity areas where most people of stable income live and low-opportunity areas where most people below the poverty line live. A study by New York University's Rudin Center for Transportation found that, even in relatively transit-rich New York City, "Limited transit access is linked to higher unemployment." And according to data provided by the Center for Neighborhood Technology (CNT), a nonprofit research group that promotes sustainable living, Metro Detroit has a dismal record of providing reliable transit options to its citizens: just three percent commute to work by public transportation. There is a commonly-advocated solution applicable to our region: bus rapid transit (BRT). If implemented correctly along high-access corridors, BRT could have a huge effect. The Rudin Center's report concluded that "In Red Hook, Brooklyn, for example, a smart shuttle bringing residents to Downtown Brooklyn would reduce travel times to Midtown Manhattan from 50 to 28 minutes, making 89,498 more jobs accessible within one hour on transit." It's also one of the more cost-effective ways to address transit. Detroit's QLine, expected to be completed near the end of 2016, will cover a mere 3.3 miles and cost $137 million. Spending on roads isn't a great investment either. "We have so heavily invested in roads and underinvested in public transportation that the marginal rate of return right now is high," says Geoff Anderson, CEO of Smart Growth America (SGA), a national nonprofit that works to build better communities. "Metro Detroit doesn't have a well-connected system, and any increment you add has a good chance of adding a lot of access." Metro Detroit had an opportunity to vastly upgrade its public transportation system this past election. A proposal was on the ballot that would have collected a millage across four Southeastern Michigan counties to fund a Regional Transit Authority for the implementation of BRT lines, commuter rail between Detroit and Ann Arbor, commuter routes, airport routes, and more. Unfortunately, the proposal failed by about 18,000 votes. Similar measures will likely take years to pass and implement, but at least a blueprint exists. Another way to improve access to opportunity is by making it affordable to live in high-opportunity areas. In general, housing located near high-opportunity areas is expensive, pricing out poorer residents. One answer to this problem is affordable housing. But it can't be placed just anywhere. "You don't want to force people to take long trips to get to opportunity," says Anderson. "It's best to put affordable housing where the opportunity is." Much of this region's current stock of affordable housing is in low-opportunity areas—newer projects need to be more strategically placed. If they're not, then the effect of its affordability will be greatly mitigated. There's a chance to make a lasting impact in Metro Detroit now that the region is experiencing a rebound. New housing construction is underway in Detroit's Brush Park, Midtown, New Center, and traditionally low-opportunity areas for the first time in years. New, more dense housing is also underway in suburbs like Royal Oak, Ferndale and Ypsilanti. Detroit's City Council seems to recognize the importance of this moment and is considering instituting an affordable housing ordinance to ensure a degree of access to current and future low-income residents. The City of Detroit recently sought proposals for a major development in Midtown that would set aside 20 percent for affordable housing. And the recently passed Community Benefits Ordinance will allow for communities to negotiate affordable housing—among other potential benefits—with developers of certain large projects. "You have to plan for success," says Anderson. "It's important to take steps that will allow you to develop mixed-income projects when prices are cheap." Several organizations and developers are harnessing housing to build wealth for low-income residents. Chase Cantrell started Building Community Value with the idea of redeveloping commercial property in low-investment areas, then working with business support groups like Motor City Match to attract tenants. This would generate neighborhood momentum, spur additional development, and increase local property values. But at some point, he had a realization. "Given the amount of vacant real estate in the city, I couldn't, as one organization, redevelop enough commercial space." While Cantrell hasn't given up on this plan, he's teaching others how to do it themselves—to scale his philosophy. He's currently building a course in conjunction with the University of Michigan Detroit Center and professor Peter Allen that will take students through the real estate essentials: site selection, financing, working with architects, and more. And the assistance doesn't end at graduation. "Part of the model is to create a fund that'll serve a singular purpose to invest in projects that come through the cohorts," says Cantrell. "Once you go through the program, if you have a promising project, you can get a loan or equity investment from the fund." Others doing similar work in the city include Develop Detroit, a nonprofit started earlier this year that looks to do housing development projects, including affordable housing, outside the urban core. There's also Century Partners, a real-estate firm that offers cash and a share in their fund in exchange for an investment home. 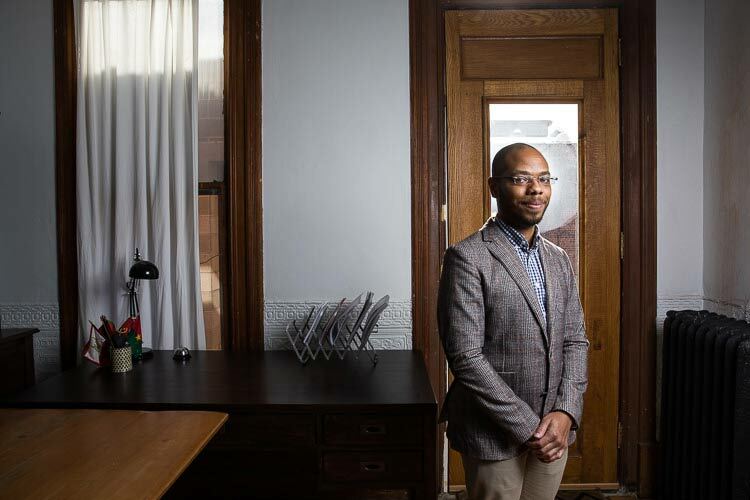 They do almost all of their redevelopment in concentrated neighborhoods, currently Atkinson and North End in Detroit, so residents can benefit from the appreciation of property values. There's just as much inequity in access to healthcare as there is to transportation and housing. Health insurance is prohibitively expensive for people of low income, meaning they get little to no preventative care and are one emergency away from financial disaster. One way a municipality can mitigate this problem is through the creation of free clinics, which provide medical care to the underinsured. One local example is The Ferncare, a free clinic that offers counseling and prescription assistance in addition to standard medical care. But this only addresses part of the problem, according to Dr. Abdul El-Sayed, director of the City of Detroit's Health Department. His department has made health inequity its primary focus, and has enacted a range of programs and initiatives to combat it. "If you look at what causes health disparities, only about 20 percent is explainable by access to healthcare," he says. "We need to think about how to keep people healthy from the start." When El-Sayed says, "from the start," he means it. His department is working with Dr. Sonia Hassan, associate dean for Maternal, Perinatal and Child Health at Wayne State University who started the "Make Your Date" education program to reduce incidences of premature birth, which is a major problem in low-income communities. The Health Department also launched the Detroit Birthing Project, which organizes community-level volunteers to help vulnerable woman in pregnancy. 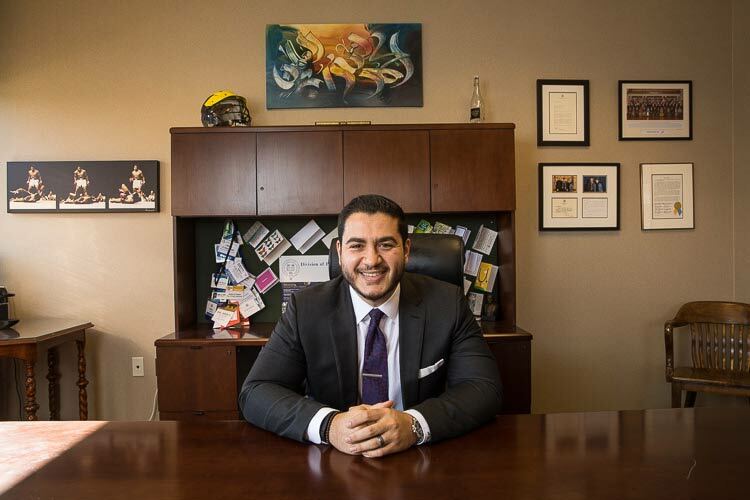 El-Sayed believes these resources are critical to combating inequality. "It all starts at negative nine months," he says. "If your mother doesn't have access to prenatal care, if you start preterm, these things are directly related to life outcomes. And those challenges accumulate over the course of one's life." He also wants to "put a rocket pack on the WIC program"—the supplemental nutrition program for women, infants, and children. He's working with grantors and startups to create a pioneering food delivery service. The food will be healthy and accessible to people without transportation. El-Sayed hopes to have it launched sometime in the next year. "In the end, young people become middle-aged people," he says. "If we want to have a intergenerational impact, we need to start there."